The Eldorado brand vehicle produced by Cadillac used variations of the V8 engine. The Northstar series was built between 1991 and 2010. This near 20-year time period resulted in many of the now infamous builds from General Motors. The luxury look of the Eldorado combined with the engineering of the engine department helped make this vehicle’s sales strong. A generous 275 horsepower provides the base of the Eldorado V8 engine. Our inventory here is always growing. You’ll find the Cadillac Eldorado engine as well as other Northstar editions ready for direct shipment at https://www.rebuiltenginessale.com/. The V8 inside of many of Cadillac’s vehicles made the Ward’s Best list several times. These accomplishments were shared with other brands in the GM lineup. Part of what our company generates is true originals. These used blocks that start each rebuild end up performing like new ones. The dedication that is placed into each component that is replaced helps improve quality levels. Each turn of a wrench, application of a part and testing is completed in our own facility. 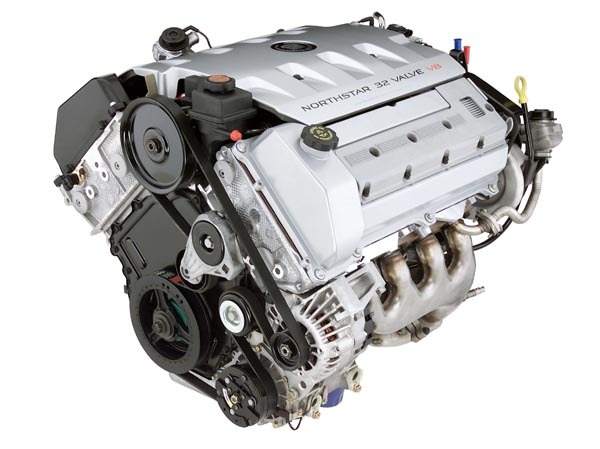 Our experts are the very ones who make preowned Northstar engines into rebuilt powerhouses ready for immediate installs. This is our commitment to each and every engine buyer. It takes a growing warehouse to support the amount of customers now requesting motors. The rotation of our company inventory is one example of a sign of a strong business plan. Instead of buying and then rebuilding what won’t sell, our team knows exactly what is needed here. The lineup of Cadillac and the remaining models in the GM family are represented here. The in stock motors that customers find are all custom built. The OEM design specs are carefully studied. The remanufacturing that is undertaken here is what makes a former used engine great. Our team knows and has perfected the reconditioning of Northstar engine technologies. No V8 engine build would be complete without testing. Each Cadillac motor for sale that is found here is always tested. It is the tests that prove to our company and to customers just how valuable the engines are after install. The calibration and measurement tests provide the compression information, fuel burn off and other data that is helpful for grading engines. When testing is complete, our finished editions are moved to the company warehouse. It is only after this period that the Eldorado engines are made for sale. The drivers, mechanics, warranty companies and junkyards now purchasing here get a lot of value. We know the GM lineup and work hard to prove to each customer how strong our commitment to satisfaction is with each build. Getting our price is as simple as doing one of two steps. The first step is calling our experts. Let our toll free number help guide you into our company. Our specialists will take your VIN number and perform a system match. You’ll be given pricing and you can decide on your purchase. The second step is getting quotes from this website. It’s accurate and super fast for all users.